The Dow Jones Industrial Average: All 30 companies at close today. If I fall behind on keeping my posts up in real time, I have this link for you, where you can get a quick market recap each day, and I also have provided it for you on my blogroll where you can get the daily update in REAL TIME, or you can click here to access it instantly. If you’d like to check the performance of the 30 companies listed on the DJIA, click here for the daily updated list. So since you can get these resources right here from my blog each day, I hope you’ll still visit my site each time you check Daily Dow/Daily Market Analysis! Just bookmark me in del.icio.us! I get the all of the data straight from the WSJ and use Bloomerg for the Daily 30. MARKETS – AT A GLANCE, and courtesy of the WSJ. 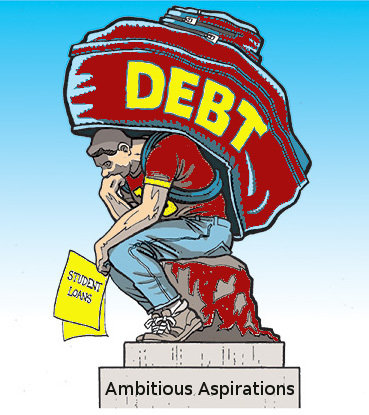 THE INTEREST RATES CHARGED ON FEDERAL STUDENT LOANS ARE RESET EACH YEAR ON JULY 1st…now what? Don’t forget that THE INTEREST RATES CHARGED ON FEDERAL STUDENT LOANS ARE RESET EACH YEAR ON JULY 1st. Once you’ve already consolidated, however, you are uneligible to re-consolidate again. See the the current rates here. Also, if all of your loans are from the same lender, you must consolidate with that lender. If you have loans from a variety of resources, you can consolidate at banks or places like Sallie Mae. I recommend VSAC (Vermont Student Assitance Corp), they are where I have my loans and they are the best…TRUST me. They are not out to trick you into messing up so you end up with higher rates. They are honest, and very helpful. So much that they let me know when to consolidate, and I was fortunate to lock in a 2.875% rate. WHOOOHOO. At this rate, I’m not even rushing to pay it off. It makes more sense to use the extra cashflow for other goals and investments that offer me a higher return on my money. Unfortunately not everyone is as fortunate. Don’t forget that when/if you call them to also talk with them about the bonus .25% you can get taken off of your interest rate simply by signing up for them to automatically withdraw your payment from your checking account. Also BE sure your lender always has your updated address even if everything isset up on automatic, because when TAX TIME comes around, you’ll want to be sure you’re able to deduct the student loan interest if eligible ( deduct up to $2,500 per year in student loan interest if your income is less than $50,000 if you are single, and if your income is less than $100,000 if you file a joint tax return) and you’ll need your tax document in hand to take you deduction. PS- Don’t ever ignore those student loan payments as they report to the credit agencies. So, if you default on your payments, they report you. In addition, if you ever claim personal bankruptcy, you will still have to pay back your loans. “Don’t Mess With Texas” is one of the most successful ad campaigns globally. It’s right up there with “Just Do It” and all of the other slogans out there. It’s been really effective as far as getting the phrase out, but not having had grow up in Texas, I didn’t know until I actually moved here what it actually meant. I guess I always just thought it was refering to size or something. Like if you have a big house, well “DONT MESS WITH TEXAS” cuz they’ll outsize you 14 houses to one. heheha.” I don’t know, it just never resonated with me. Now that I’m here I know that it’s their anti-litter campaign slogan, and boy is it effective. It’s great and Texas does sooo many things the right way, the FIRST time with almost all of it’s efforts, and I was surprised they’ve ignored bottle legislation. 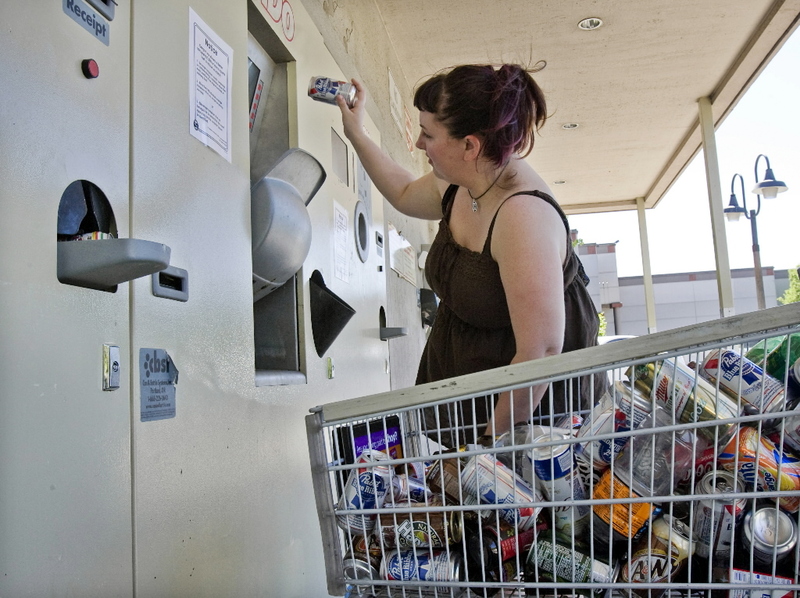 So, in an effort to “piggy-back” on the city’s ZERO WASTE iniative, I’d like to propose the idea of deposit legislation where Texas would impose a 5 OR 10 cent deposit on returnable bottles and cans. Consumers would then get their money back whey they returned the containers to the stores for recylcing. 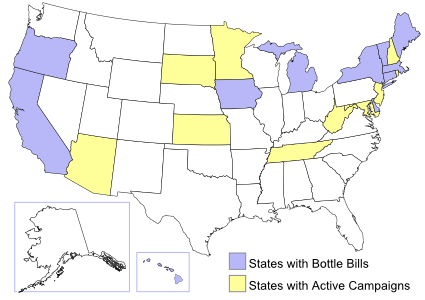 There are several states already taking advantage of this “system” like Vermont (where I’m from) Hawaii (which I helped with when I lived on Maui), CT, ME,etc. With a name slogan like “Don’t Mess With Texas,” we should be the INDUSTRY LEADERS. Show those other states how we compete. Let’s take charge. Charge Bevo, charge. They create jobs, help the economy and help with solid waste. Recycling can be expensive and use a lot of energy and it often can be a struggle to find someone to buy the recyclablees. Luckily though, that’s what’s great about bottles! Companies like Coca-Cola, Pepsi, Budweiser, etc. pay the store for their bottles on top of the money they gave to consumers. So, if someone brings you a can that is worth 5 cents, the business owner gives the consumer 5 cents for his can. Then when Pepsi comes to collect their bottles and cans, they will pay the business owner something like 9 cents or whatever the going rate is. There’s no doubt recycling can make you feel good, but it doesn’t get any better when recycling starts adding up to money in your fanny pack. Here are some resources for YOU! Hopefully you read and liked topic #1. Topic number 2 was on Credit Reports. It’s no doubt that most people, even some of us in Central Texas, are feeling the effects of the economy. Some blame the financial institutes, some blame Ben Bernanke, and some blame Bush. Regardless of who it is, everyone’s got someone to blame but themselves. I see what’s going on as a huge problem, but one that can be solved at the ROOT CAUSE, which can get started right here in Austin, by making sure our residents are as prepared and educated about their credit scores as they are for hurricanes and fire evacuations. I’m being dead serious. I truly believe that it is IMPERATIVE for people (everyone) to know their score. It’s the single bit of advice that can have the BIGGEST impact on turning around someone’s financial situation. You have to know your FICO score. Every decision you make for the rest of your life revolves around and is linked to your score. 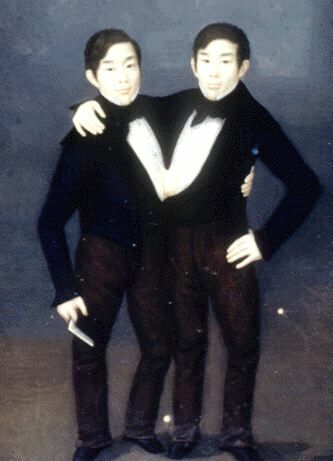 It’s like a siamese-twin you can’t escape. 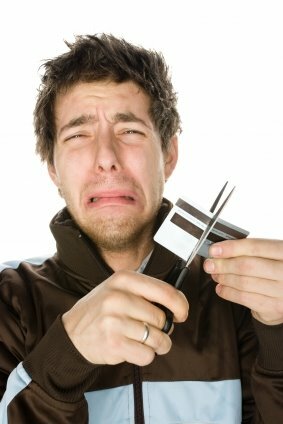 We are all entiteld to a free credit REPORT annually from freecreditreport.com but what good is a report without a score? That’s where big business comes in and starts charging the consumer for things we sort of should already be entitled to. I believe that’s where the city can step in. I truly believe that the city is capable of negotiating very reduced rates for it’s citizens and should launch a “Know Your Score” campaign or something just to get people charged up. Nationally, we’ve got January, which is National Braille Literacy Month, National Hobby Month and Hot Tea Month. Then February, which has Black History Month, followed by March with Women’s History Month History, so why not have a “Know Your Score” month in April, even just in Austin? History is said to repeat itself and if people get their scores today, hopefully they change the way things happen tomorrow. I also added how the city has all sorts of programs and classes that they already offer the public, and stressed the value-add for something like this. I’m talking about digging deep and tracking progress, running comparative numbers, etc. I want to make that number as tangible as possible. I would volunteer if they needed help, hell yea. People would leave the class standing a little taller, probably seeing more light at the end of the tunnel, but also leave having the power and the tools to improve their score, ultimately having the power to change their own lives and their purchasing power. All of which is good news for them and the City of Austin. I just got back from speaking at City Hall. I was actually quite nervous because I hate the way my voice sounds in a microphone. Do you know what I mean? I feel like I sound like an idiot. My friend Molly in Cleveland says she too hates it. She says she sounds like a 10 year old boy. Hahah. She has a nice voice so I doubt it, but it’s funny the way we perceive things sometimes. I think things went well today..or as well as they could have. The meeting was in front of the City Council, which includes Austin’s hip mayor Will Wynn, our City Manager, Marc Ott, and a bunch of other important folks elelected into office. The news films the event and so doesn’t the regular local public access channel. I bet my voice sounds even worse after it is projected through the mic and on to TV! Haha. I received my Leadership & Mgmt degree from Duquesne University in Pittsburgh, PA. Ya’ll may know that as the STEEL CITY, but I know it as the CITY OF BRIDGES. Almost all bridges in Pittsburgh were unique with their own characteristics, and I always enjoyed looking at their design and details. I wish I could do the same here in Austin. We’ve got a beautiful landscape in Austin with beautiful architecture AND things only seem to get nicer as construction continues–EXCEPT our bridges. I’d like to propose doing something about it, or at the very least, doing something about the run down RR track bridge that you pass on your left-hand side when traveling south on Lamar before crossing the lake. 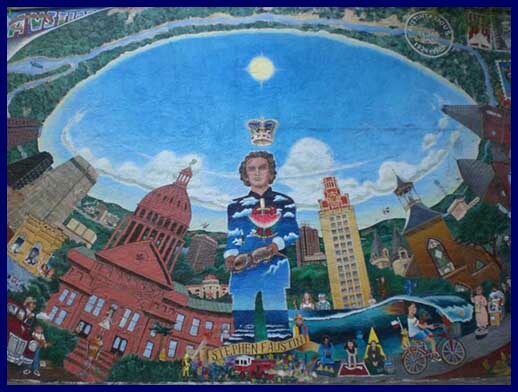 All of that graffiti is an eye sore, and is inconsitent with Austin…we are WAY too creative for that. 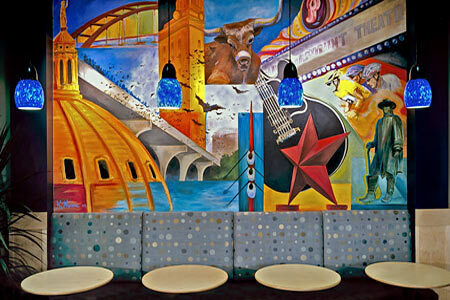 I propose corporate sponsorship and/or having a city-wide art competition for LOCAL artists, where they have the ability to showcase their talent while competing is an “Austin-themed” mural contest, or something of the like. I believe it could work well with the Art in Public Places initative the city has recently implemented. Thank you for checking my blog!! As you may know by now, I’m a fan pretty big fan of the Austin Business Journal. I appreciate the daily business recap email that they send, which really makes getting local business news a cinch! Today they had this article below that I thought was interesting. Even though the headline is TEXAS, there are other states mentioned, and a link to learn about YOUR state if not in this particular state. The fact that Vermont isn’t on here blows my mind. If they did a % of income to how much people spend on their home fuel, I know for a fact VT would have to be right up there. Drivers in Texas spend nearly 6 percent of their income on gasoline, twice as much as what drivers in some states spend, according to a report released today by the Natural Resources Defense Council. The report highlights two areas: state-by-state vulnerability to high oil prices and implementation by states of alternatives and solutions. Texas is the 16th most vulnerable state when it comes to gas prices. 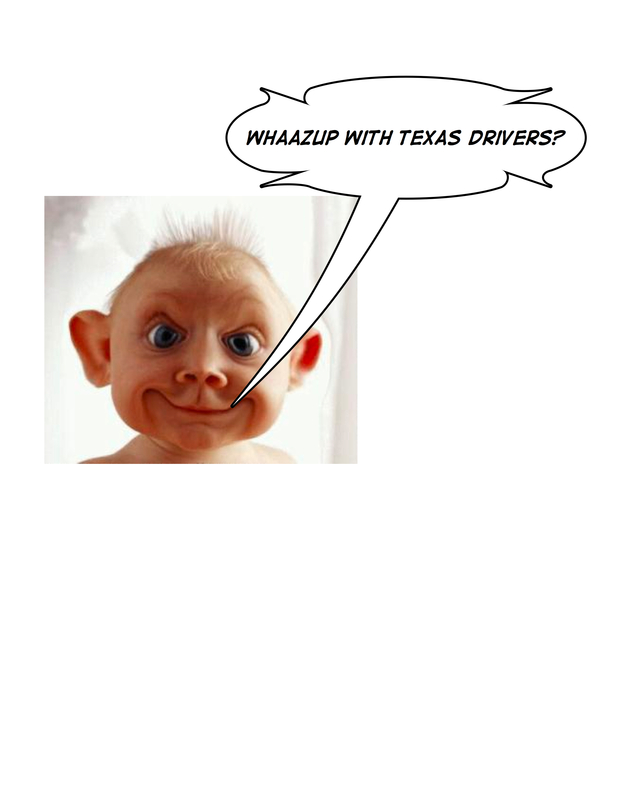 The average Texas motorist spent $2,174 on gasoline in 2007, or about 5.85 percent of income, the report shows. Motorists in Mississippi, which ranks at the top of the list, spend an average of more than 8 percent of their income on gasoline, while drivers in Connecticut, the least vulnerable state, spend 3.17 percent of income on fuel. The states in which drivers are most at risk to high gas price increases are Mississippi, South Carolina, Georgia, Louisiana, Kentucky, New Mexico, Indiana, Arkansas, Oklahoma and Iowa. States doing the most to promote energy-saving policies to reduce oil dependency and protect residents from oil price spikes include California, New York, Connecticut, Washington, Pennsylvania, New Jersey, Rhode Island, New Mexico, Colorado and Maryland. Despite a growing focus on alternative energy, Texas, where the petroleum industry remains a large part of the economy, has a long way to go to wean itself from oil dependency. 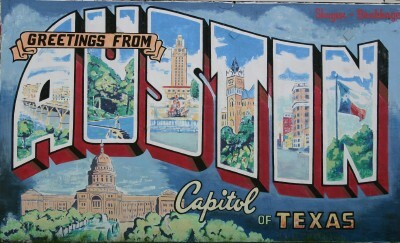 The report ranks the Lone Star State 36th on the solutions list. Not many people know this, but I don’t have a TV. Haven’t had one in years actually. Instead, I read a lot of non-fiction and watch things on my laptop when needed. I have plenty of friends that have TVs should I need one, but I have yet to find myself seeking them out to watch the newest American Idol. Somehow I’m able to resist. 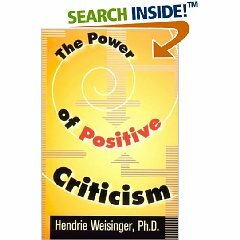 Anyhoot, I recently just plowed through the book The Power of Positive Criticism by Hendrie Weisinger. It was an easy read for me and thought I’d share with you and summarize the Top 10 tips that Sir Weisinger claims will help you harness the power of positive criticism, which are based on 3 sources–research, theories, and clinical experiences. Weisinger also says that these tips can be used for both giving and receiving crisitscm although some may be geared more one way than the other. 1. Befriend Criticsm- He says it comes with the job. He then adds that we all need evaluative information and know how we are doing. It’s information that can help us grow. 2. Criticize Strategically- He says that people who consistently tap into the power of positive criticism are strategic: They actively take responsibility for how they communicate and see themselves as a directive force, with the goal being to get their recipient to take their criticism productively. – Exactly what do you want to communicate? – What do I want to change? – What specific solutions and goals can I offer and what can I do to help the person achieve these goals? 5. Choose the right words. 9. Tell them what you want. I'm glad you found my blog. I hope you enjoy it! New Poll Identifies Most Liberal and Conservative States…Where Do You Live?! Where is Your Tax Refund? City of Austin Offers $40,000 in “Carbon Offset Challenge” Grants. Boom, That’s a Lot of Green! City of Austin’s 6th Bi-Annual Green Garden Festival–See you there! How To Choose a Toilet- Go Green While You Make Brown. Fun Times! When Dudes Where UGGs, Are They DUGGs? Spanish Bullfighter Julio Aparicio Gets Gored By Bull!! Whoa! 2010 Healthiest States Rankings—where is your state? 5 Slim Down Strategies to Get a Lean Belly–FAST! ADULT SPELLING BEE IN AUSTIN! UNEMPLOYMENT HITS RECORD HIGH IN U.S.